I was getting ready to go out and grab dinner a couple weeks ago, and all the sudden felt frumpy in my button down/sweater combination. A little feeling of dread settled in the bottom of my stomach, because I knew as soon as I went into my closet to find something else to wear that I would hate everything and it would turn into an hour long affair of trying on and throwing everything I owned on the floor. But then I pulled off my sweater, and all the sudden felt perfect. 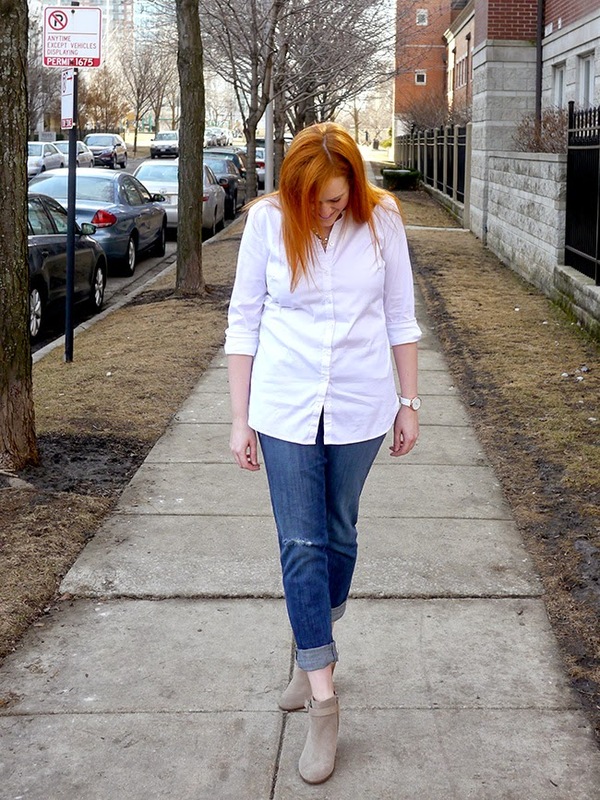 A crisp white button down, boyfriend jeans, and ankle boots were all I needed to feel perfectly cool and put together. Crisis adverted, for one day at least. 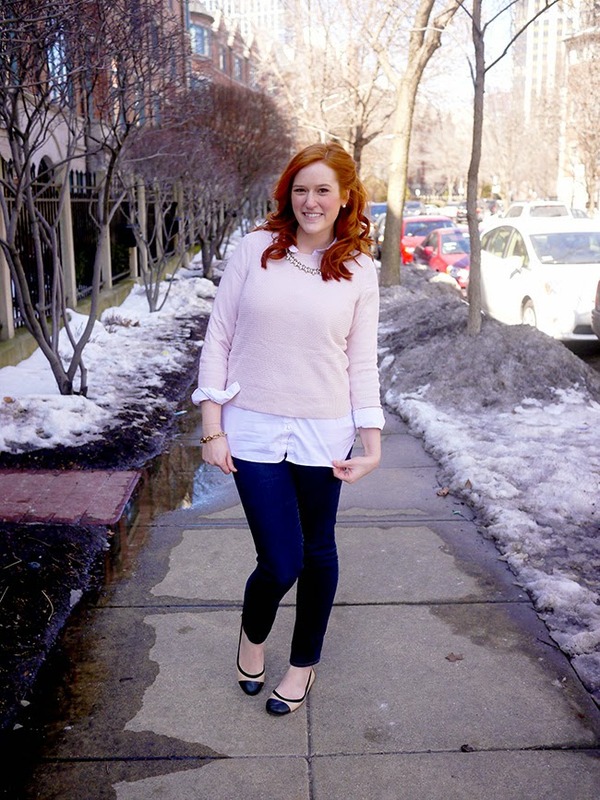 Linking up with Trend Spin Linkup, Mix It Monday, #howispring, Friday Fab Favorites, What I Wore to Work, Random Wednesday, Style Me Weekly, Style Me Wednesday. 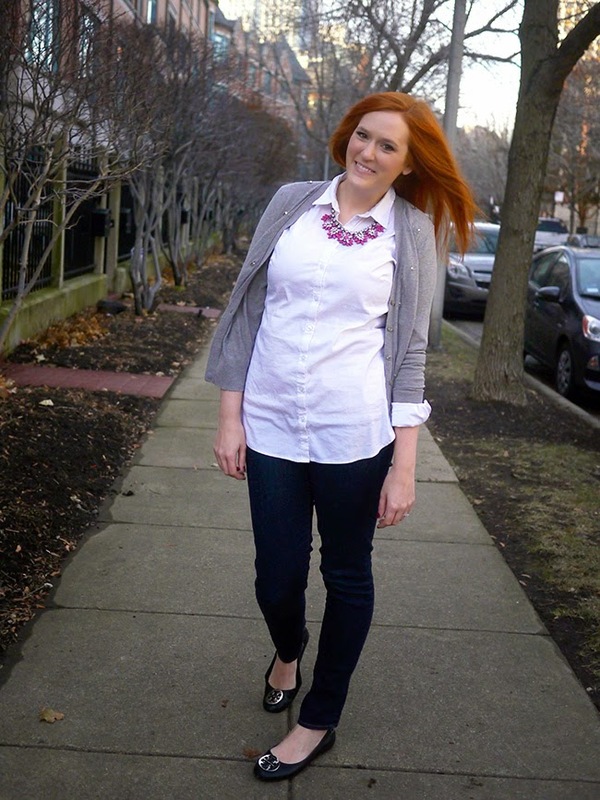 Follow along with everything Kristina does via Google Friend Connect or Bloglovin! 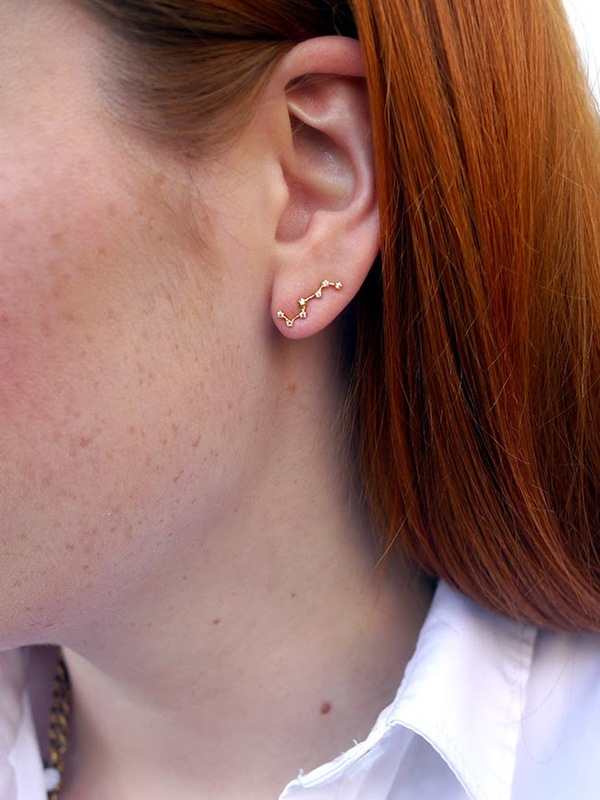 Are those constellation earrings?! I absolutely love them! This is such a great, classic look. I keep thinking about those booties. Do you like them? How do they fit? I hate when that happens, but the final outcome worked out! That button down is perfect on you! Loving it with your ankle boots. I am completely lacking in the basics area of my closet! 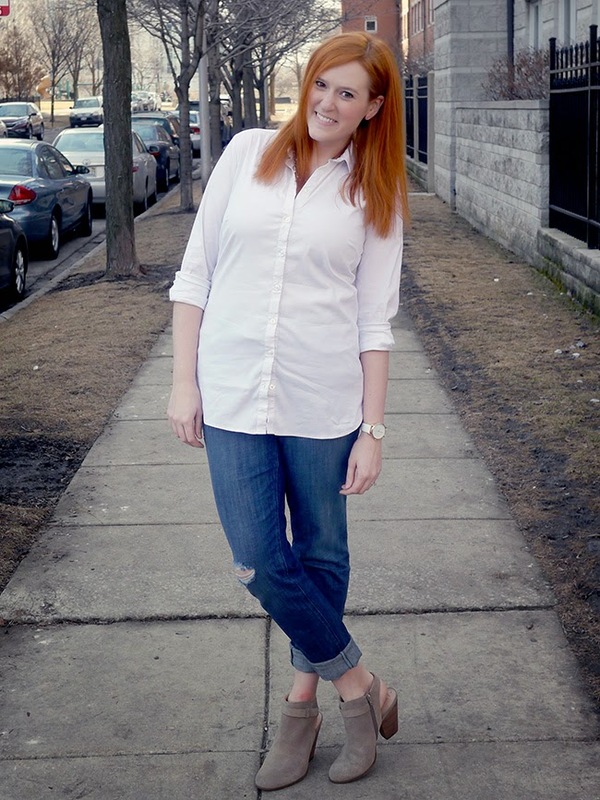 White button-down, for the win! I love how easy + breezy this is, but still polished. Great outfit, Kristina! Great look hun! The earrings are awesome! You'd better get on it, girl! Ha yes it's the worst! I actually really like them. I feel like my only complaint is that they could be a little more shock absorbent. The fit is really good and I would say true to size, and I freaking love the color and design. Yep, little constellations! I get compliments on them whenever I wear them. I love how classic a button down & jeans are. Plus those earrings are so cool! This simple look is just darling on you! Those shoes are amazing, what a great find!